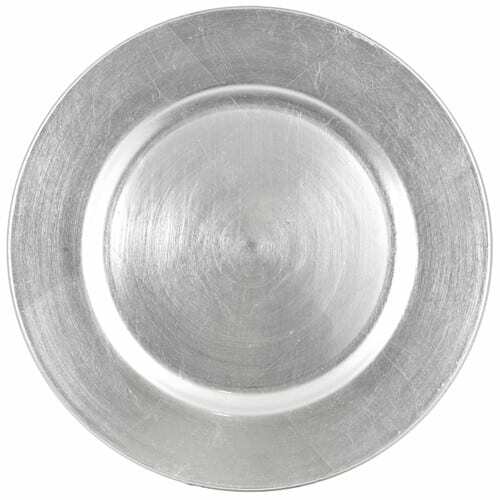 Melamine Silver Charger Plate for your dinner party, wedding or special event. This is the most economical charger because it adds elegance to simple white plates without the heavy rental cost. This rental has a brushed look finish. Each charger holds one guest dining plate, therefore we recommend one per guest. For extra style pair with our Lunar Bliss Cake Serving Set. As a decoration, this rental stands out! 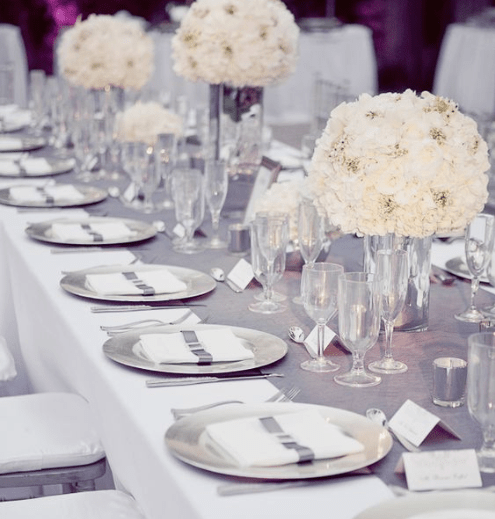 Create memories for your event by offering your guests a bit of silver.